ITP's Terracross Radial Tire features an interlocking tread pattern and wide footprint that results in exceptional traction and flotation. This tire is ideal for mud, snow and sand, yet handles exceptionally well on the trails. This tire has excellent steering response and offers a wrap around lug design for sidewall protection and extra traction. It's designed for both ATV's and UTV's! 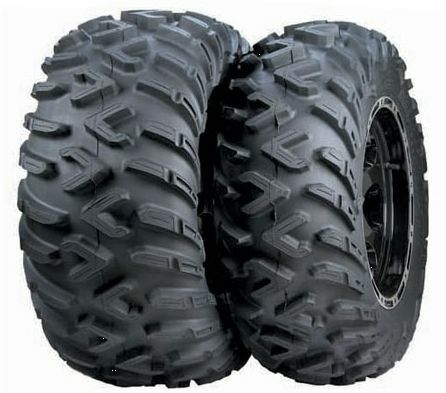 Specially-designed 14-inch sizes make the TerraCross R/T the new standard in utility vehicle (Mule, Rhino) trail tires. Surprisingly light in weight; you won't find a lighter 14-inch tire/wheel combo anywhere. The wrap-around shoulder lugs offer excellent sidewall protection and traction.